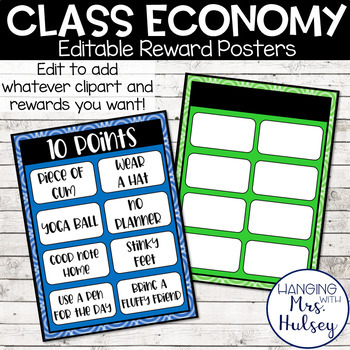 I love using a classroom economy system in my classroom! Students earn "money" to spend on prizes and rewards (these rewards do NOT have to cost you any money). 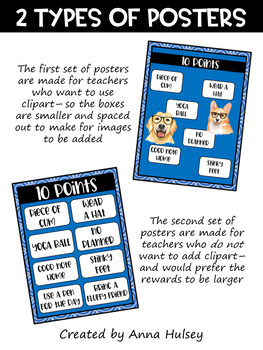 I use these reward posters in conjunction with my classroom money and credit cards-- which you can find HERE. 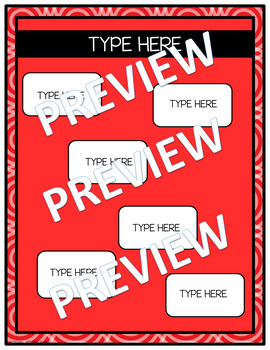 These reward posters are eye-catching and make it easy for students to see what's available to spend their points on! I like to add clipart to mine since I teach younger students (3rd grade)-- but I've also included a version that would work well in older classrooms! 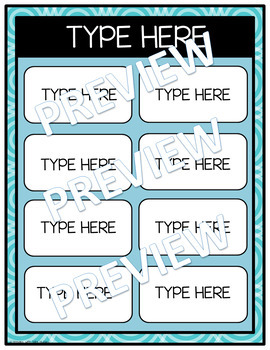 These templates come with instructions to edit-- please know that it will require some time to type out rewards, add clipart (especially to each poster), and resize the text to fit the boxes. It usually takes me about 20-30 minutes every year. Also, the only thing you cannot edit is poster coloring and the size of the white boxes.